Terry Sanville lives in San Luis Obispo, California with his artist-poet wife (his in-house editor) and one plump cat (his in-house critic). He writes full time, producing short stories, essays, poems, and novels. 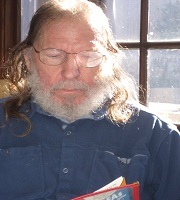 Since 2005, his short stories have been accepted by more than 190 literary and commercial journals, magazines, and anthologies including The Potomac Review, The Bitter Oleander, Shenandoah, and Conclave: A Journal of Character. He was nominated for a Pushcart Prize for his story “The Sweeper.” Terry is a retired urban planner and an accomplished jazz and blues guitarist – who once played with a symphony orchestra backing up jazz legend George Shearing.